One of the most highlighted feature of Windows Phone 8.1, which went official yesterday was Cortana, a personal voice assistant from Microsoft which will rival Google Now and Siri. Microsoft has put in a lot of effort in Cortana, a voice assistant with a personality, but will it be a viable option in India? We got plenty of time to ponder on that because Microsoft won’t be bringing this feature to India till sometime later next year. Cortana drives its name from the AI computer in Halo video game series, and you can launch it either by a live tile or by the search option in Windows Phone 8.1. It will initially ask your name and get familiar with your interests. Once it get’s to know you, it will provide contextual alerts which you could really use. The information is stored in a ‘notebook’ from which you can add and remove entries conveniently. A good thing is, you could type to Cortana and it will respond in text. You don’t have to speak to your phone while you are in public (Some thing Siri users can’t do). 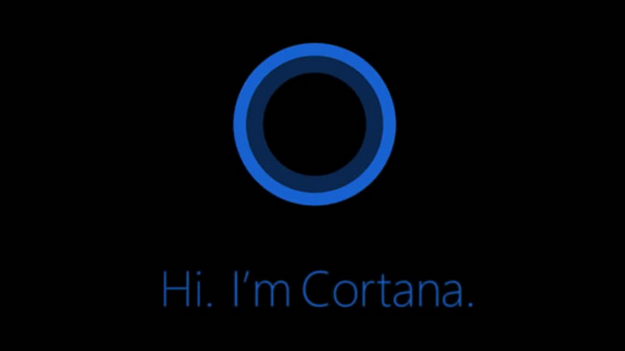 Cortana is more personal than Google Now and Siri. If you ask it “what the best restaurant near me”, it will offer you one restaurant which has the best rating on Yelp unlike listing all the restaurants near you as Google Now does it. It can also read your emails and track your browsing history (in case you use Bing) and track your appointments. It can also remind you to ask your friend for money when you call him next time (“people reminder”). You can say “remind me call my sister tomorrow” and it is smart enough to know who your sister is. You can also ask Cortana to show you a friends facebook feed. Third party developers will have access to Cortana APIs which will enable Cortana to trigger actions on several apps. You can also set reminders, and set quiet hours where Cortana will silence your calls but will still allow those in your inner circles to get through to you even in quiet hours. Moreover, It has a personality. Cortana is really the standout features of Windows phone 8.1, and it has the potential to draw users back to Windows Phone platform, but unfortunately it won’t be available in India till sometime later in 2015. Microsoft will introduce this first is USA, UK and China. Other countries will follow. Bing which powers Cortana is in deplorable state in India and lies far behind Google and since Bing can’t give much India specific info, Microsoft is not likely to launch Cortana in India any time soon.